4 - $29.99 Only 7 left! Is Rainbow Dash the very best My Little Pony character? Obviously she is or you wouldn't be here. 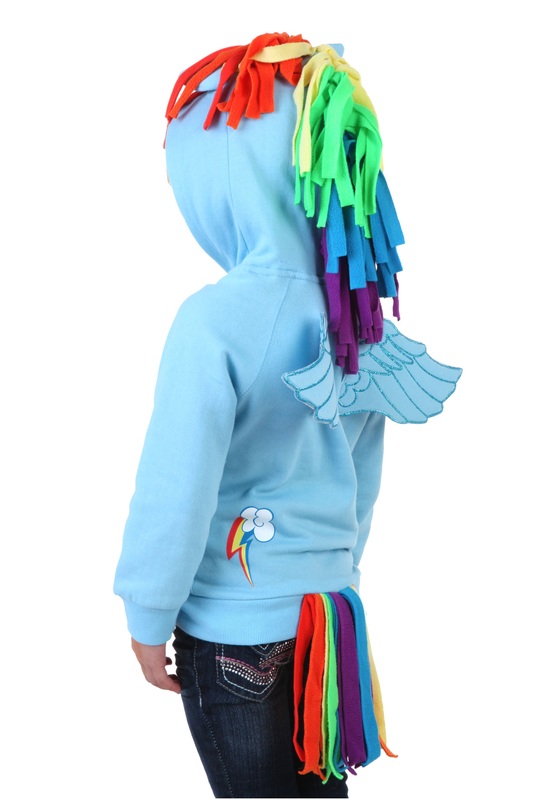 Or your kid wouldn't be almost weeping with excitement every time Rainbow Dash shows up anywhere. Yes yes, we all know Twilight Sparkle is the "star" of the show, and sure, you'll always have a soft spot for Fluttershy (because who couldn't love Fluttershy, right? ), but Rainbow Dash is... well, she lives up to her name, that's what. She is the My Little Pony rapid response team. Always ready for action, always up for a challenge, always pushing herself to new heights, however calamitous it may be. In fact, it could be said that sometimes Rainbow Dash is a little bit... reckless. But how could you not be if you had the ability to fly, to literally dash from place to place, to find excitement wherever you go. It can be hard to remember to be careful or take it slow because there are just so many possibilities. And that's exactly how your kid can seem sometimes, isn't it? But with your help, she can find her own Element of Harmony (it's a magical thing from the show, mention it and she'll flip!) to really let her personality shine through. And it's all thanks to you. 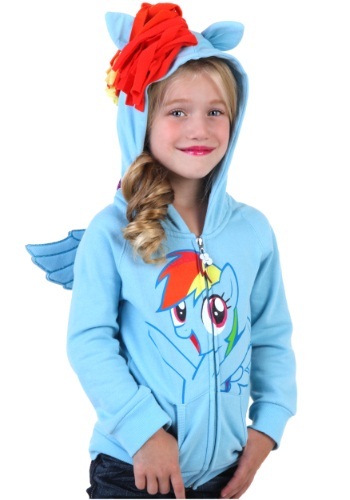 Besides, what little girl (or even boy, or anyone really) wouldn't be thrilled to wear a hoodie with actual wings on it? Combine those wings with that hood of ears and a shockingly bright mane and it's a guaranteed home run. When she puts on this hoodie, friendship isn't the only thing that's magic, everything is!